You won’t notice the little things right away. It takes time to slow down, block out the world, focus on what is right ahead. There are little silent hunters all around! 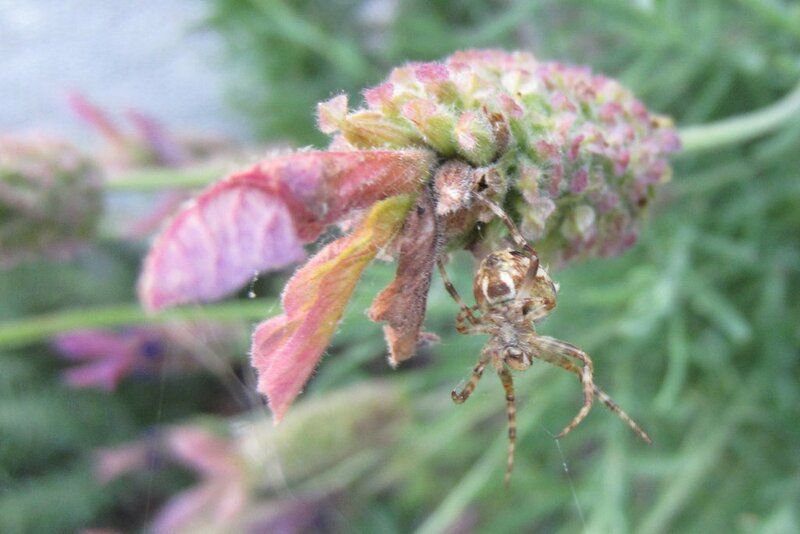 Take this little Lavender bud spider, putting out his welcoming webs for bees and other flying things. There were about a dozen or more Vinegar and White flies caught in there, a tasty snack methinks, and better them than me. What I like about this spider is that it blends in so well with the Lavender bloom, it could be confused for one of the bracts. 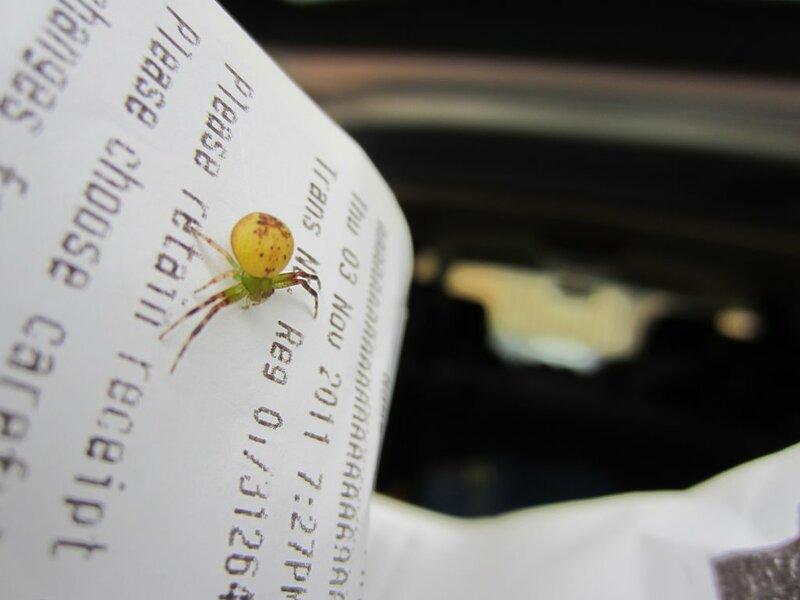 Found this cute little Flower Spider in the car boot on a parking receipt. The bright white paper makes for a great contrast. OK maybe not so cute when close up. After taking some happy snaps I put him onto our front lemon tree. Hope he was able to make a home there. 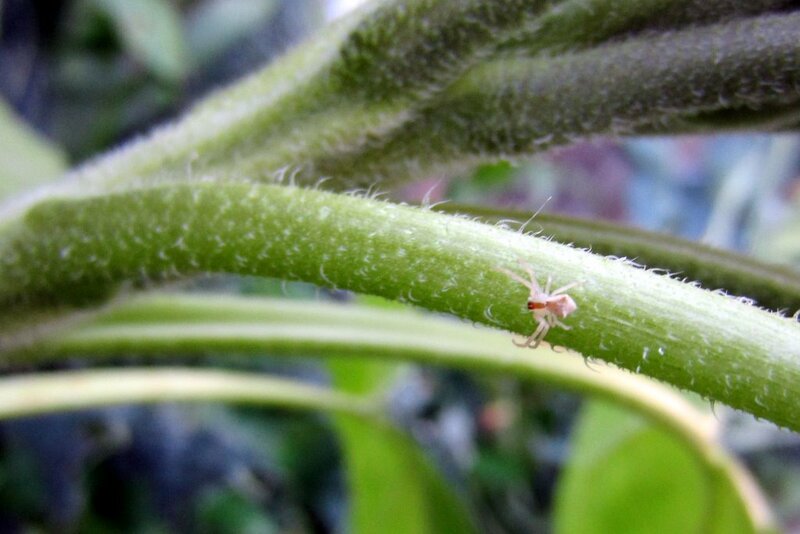 Another, even smaller spider, crawling over a Sunflower stalk. I read your article about garden spiders, and I wanted to send you a photo of a jumping spider we found in the atrium of our house a while back. I’ve always loved the jumpers, particularly since they seem so human. They turn to face you, and the eyes almost seem to follow you when you move. In any event, here’s the photo of the little guy or girl—not at all sure which. It was only about a quarter-inch long; I put it carefully outside after the photo shoot so it could go on doing its spidery things in the wilds of our front yard. What could one say about my friend here… Just hanging around? 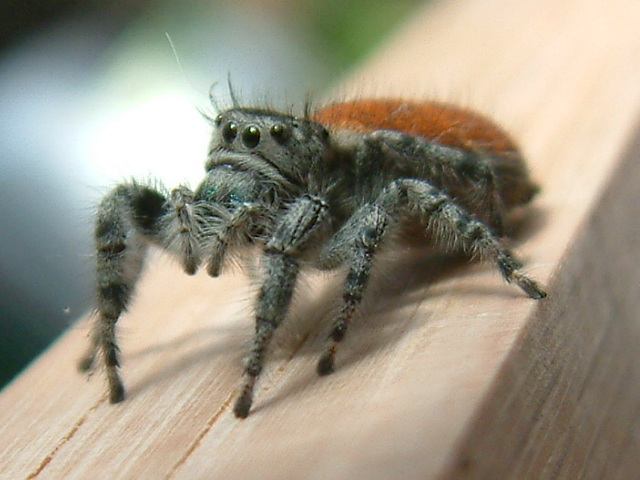 What spiders are you seeing in the garden? Tags: garden, hunters, photos, spider. Bookmark the permalink. No shortage of spiders this year, they are saying that it is all the rain coming through this year that has the insects and spiders going crazy.